Reporter Jenessa Jones' wedding is right around the corner...until her nemesis Grey Alexander digs up an explosive, long-buried secret and threatens to expose it unless she calls off the wedding. 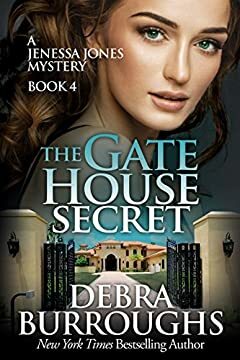 Feisty Jenessa is determined to fight to keep her skeletons buried, but soon she is rocked to the core when a scandalous murder puts her entire future in jeopardy...not to mention her life. Can she uncover the killer, hold on to her fiancÃ©, and make it to the altar alive?